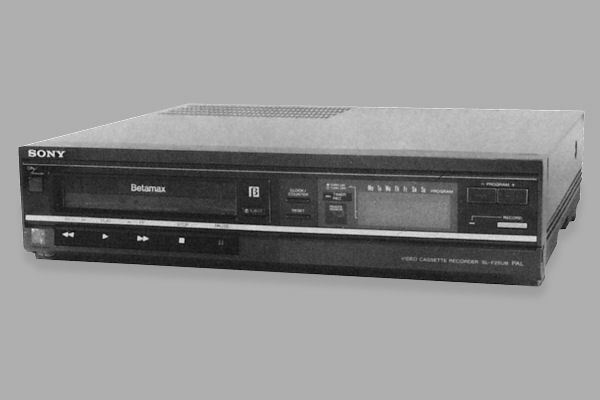 The SL-F25 was the last basic Betamax model ever in the UK. Because of the late release there were not many sold and few people today can remember this machine. With a 1 event/week timer and no other advanced features the SL-F25 is not much to talk about. The front flap on the right concealed the controls for the clock and timer settings, the tone selector (set to low if high frequencies seem exaggerated), the AFT (automatic fine tuning) switch and the manual tuning section for 8 TV stations. The tape counter on this unit can be read as a real time counter, see how.